Manchester United’s interim manager, Ole Gunnar Solskjaer, will be prevented from making permanent signings in the January transfer window, with the club preferring to save cash for their next manager. 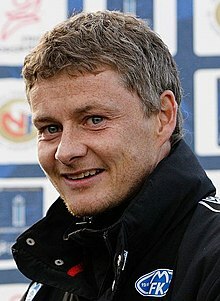 Solskjaer began his tenure at Old Trafford, with a 5-1 win at former club Cardiff City and had been expected to take an advisory role on United’s dealings in January. Sacked manager Jose Mourinho was keen to strengthen in defence, but Solskjaer has been given a caretaker role and the club do not want to sign anyone that their next manager has not approved. According to the Mirror, United’s executive vice-chairman, Ed Woodward, will be happy to sanction loan deals in January, but will not allow permanent moves and will instead “stockpile” their money. Solskjaer is keen on taking the job on a permanent basis and it is understood United’s board will consider him, if Mauricio Pochettino turns down the role.